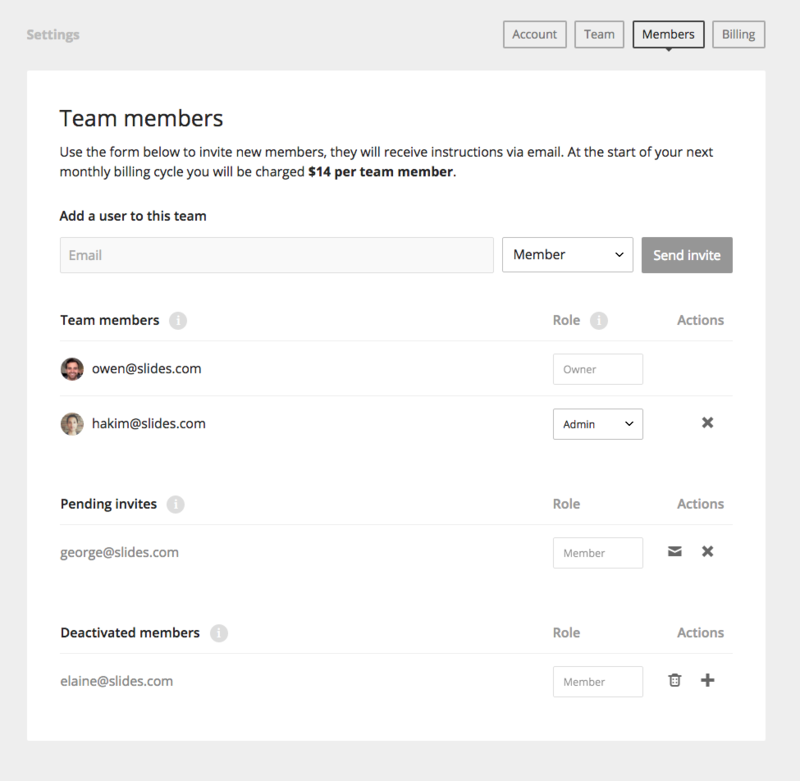 The Members setting page allows admins to add new or manage existing team members. To invite a new member simply enter their email address, select a role and send. The invited team member will receive an email with instructions for how to join. Teams can also enable Single sign-on with Google Apps for easier Team management. - Members can create presentations and access shared content in the team. - Admins can change team settings, manage members, create new themes and generally do anything that the owner can. You can deactivate a team member by pressing the X symbol under the "Team members" list. We don't delete any data for a deactivated member so you can easily reactivate them again. Note that deactivated members are not counted towards your subscription cost. Deactivated team members can be permanently deleted by pressing the trash can symbol. When you delete a team member you are given the option to also delete all of their decks or alternatively move the decks into your own account.